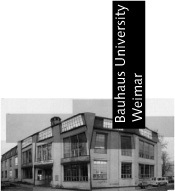 Every summer semester the Bauhaus-University Weimar holds a design course in English. The course is entitled “international Advanced Architectural Design”. The international AAD program is organised by the chair of Design and Theory of Building Types, Professor Karl-Heinz Schmitz, in close cooperation with other chairs of the master program at the faculty of Architecture. The program includes an excursion to places of specific relevance to the course. Students will be asked to contribute to the costs of the excursion (estimated 350 Euros). The design course will be supported by a lecture course on Theory and History of Building Types as well as additional seminar courses. The entire study program may earn up to 30 ECTS credit points in total.